The life of your APC Smart UPS batteries depends on a few factors, but generally battery temperature is the biggest factor. UPS Batteries, which are also called Sealed Lead Acid (SLA) or Valve Regulated Lead Acid (VRLA), are designed to operate in temperatures of around 20-25 degrees. If the battery is too much colder than this it will not be able to perform when required. If the battery is too much hotter the battery life will be drastically reduced, so the first step in ensuring long battery life is to keep your UPS batteries around their ideal temperature. Keeping the UPS temperature controlled is one thing but the UPS batteries, especially in smaller battery backup units are quite close to the UPS electronics and there is no ventilation to keep the batteries cool. Unfortunately for these small battery backup units there isn't a great deal that can be done to extend the UPS battery life. For larger UPS units however it can be of great benefit to maintain airflow around the UPS, allowing the ventilation to cool the UPS batteries. The UPS battery charging voltage can also play a part in the battery life as a high charging voltage will cause more heat in the UPS batteries and shorten their life. This is both good and bad for APC Smart UPS users. The good news is that we can calibrate APC Smart UPS battery charger voltage, lowering the charger voltage to help extend the life of the UPS batteries. The bad news is that a lot of APC Smart UPS are shipped with the charger voltage a little high meaning the UPS batteries in some APC Smart UPS don't last as long as they should. 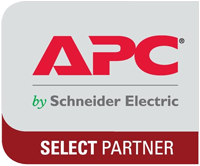 If your APC Smart UPS batteries aren't lasting as long as they should, contact us, and we'll work out the most cost effective way to get your UPS calibrated.